Adding skylights to your home or building’s roofing system offers a wide range of benefits, from increased natural lighting to better ventilation. Universal Roofing and Exteriors discusses more below. Natural lighting and increased ventilation can help improve the moods of building occupants. Increased airflow can help create a more comfortable or productive environment by getting rid of unpleasant smells and airborne pollutants. Meanwhile, more natural lighting can help elevate moods by increasing vitamin D intake. Skylights installed in the roof also provide more privacy than regular windows, and without compromising the amount of natural light that’s admitted into the space. Property owners can also lower their energy bills by installing skylights in their residential or commercial roofing systems. Thanks to increased lighting and ventilation from the skylights, reliance on artificial lighting and air conditioning will be reduced. In the colder months, the solar heat coming from the windows will help warm the area naturally, meaning less reliance on the HVAC system. More energy savings means a reduced carbon footprint. Natural lighting can do wonders for a home or office building’s ambiance. Better lighting makes the colors inside a room more vibrant and makes an area feel more spacious. And just in case you’re considering selling your building sometime in the future, installing skylight windows can increase its value. To enjoy all the aforementioned benefits, however, you need to make sure the skylight windows are properly installed by a qualified roofing company. 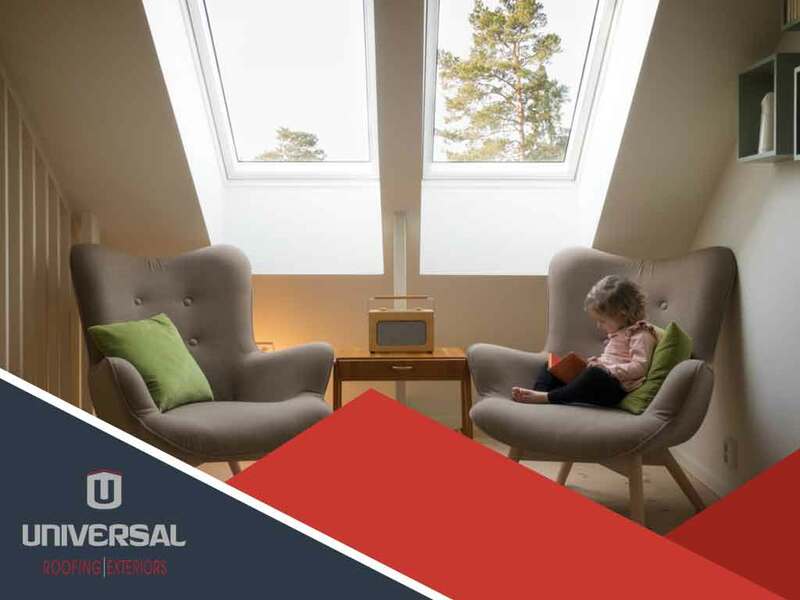 Having won the 2017 Angie’s List Super Service Award and with almost 30 years of experience in the industry, Universal Roofing and Exteriors can guarantee quality window installation and roof repair services. For inquiries, you can contact us by calling (317) 257-0779 or by filling out this form. We serve clients in Indianapolis, Fishers and Zionsville, IN.